Pears are so humble. That's all. 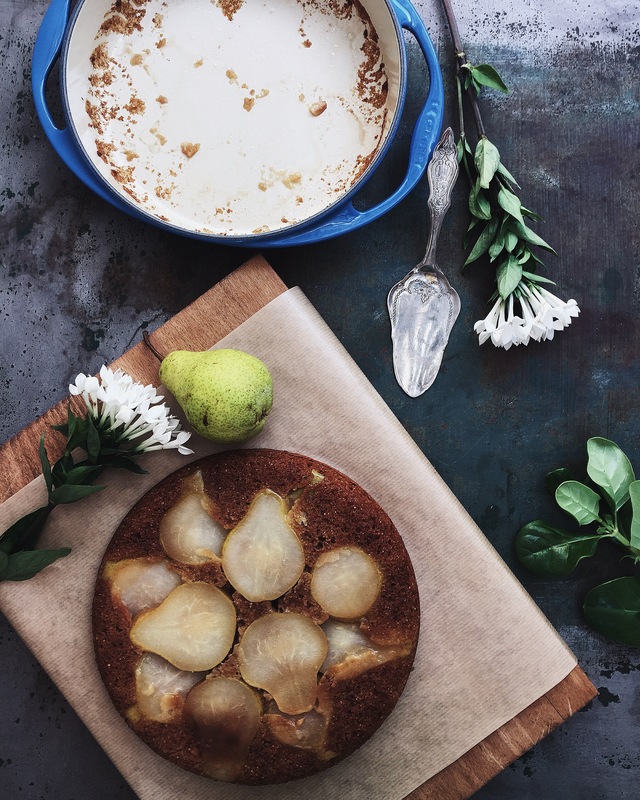 Thinly slice two pears and place on the bottom of tatin dish. Lightly crack the cardamom pods and add to the almond milk in a small pot. Gently heat over medium heat on stove top for the cardamom to release its flavor. Remove from heat and strain. Discard cardamom seeds and set almond milk aside. Add almond milk to batter and stir until completely incorporated. Pour batter into greased tatin dish, on top of sliced pears. Allow to stand for 10 minutes, then gently flip tatin dish over to release cake. Serve slightly warm with cream or ice cream. If gluten free flour mix doesn’t contain xanthan gum, add 1/4 teaspoon xanthan gum to flour mix. 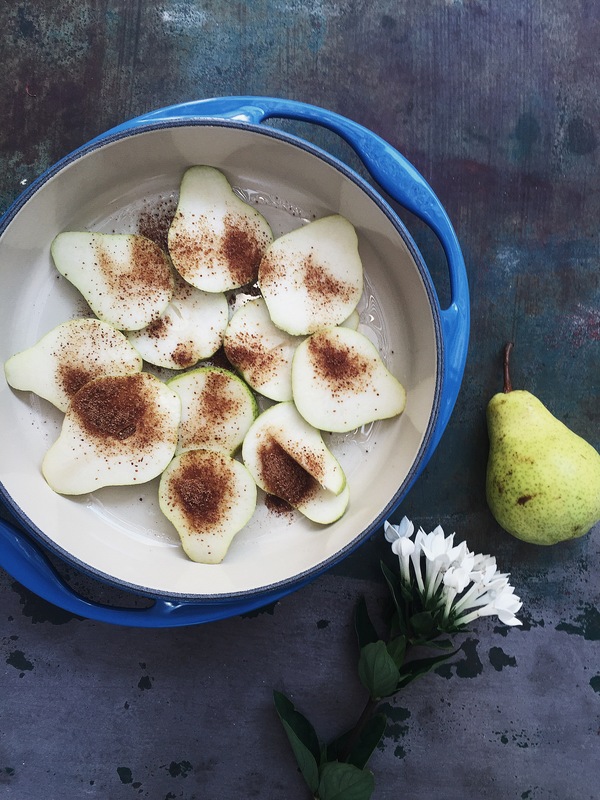 No need to peel the pears.